The Diablo Sandwich recipe courtesy of CMT’s Reel Eats TV show which featured Sheriff Buford T. Justice’s meal of choice in the Smokey and The Bandit movie. Reel Eats from CMT introduces meals featured (sometimes barely) in popular movies. During the airing of the movie, host Allison DeMarcus introduces the meal and shows you how to make it during commercial breaks during the movie. Diablo sandwiches are essentially a jazzed-up Sloppy Joe. If you like Sloppy Joes, you’ll love Diablo Sandwiches. If you’re from my generation, you’ve most likely seen Smokey and The Bandit if not once, then several times. Remember the scene when Sheriff Buford T. Justice walks into the bar and is standing there unknowingly talking to The Bandit himself? The Sheriff orders a Diablo sandwich and then devours it in a hurry so he can back on the chase. 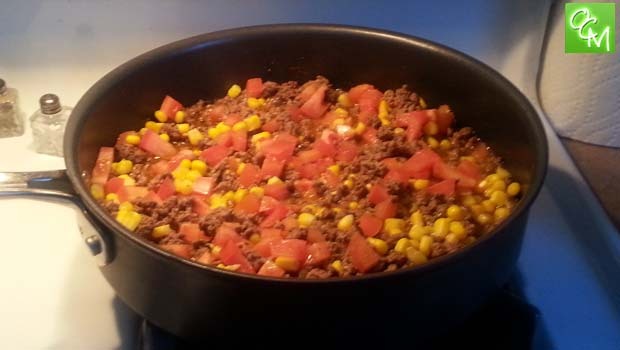 I tripped over Smokey and The Bandit recently on the CMT Network and they had a segment which featured a recipe for how to make your own Diablo Sandwich. I searched CMT for the recipe to make my own but couldn’t find it, so I DVR’d the movie and followed the recipe instructions the best I could from the show and added a couple of SLIGHT tweaks. Brown the ground beef. Add remaining ingredients except for lettuce, sour cream and hamburger buns. Let the mixture stew anywhere from 15 minutes to one hour. The longer the better. I cooked it for 40 minutes covered, and then uncovered for the remaining 20 minutes to thicken it up a bit as the liquid burns off. 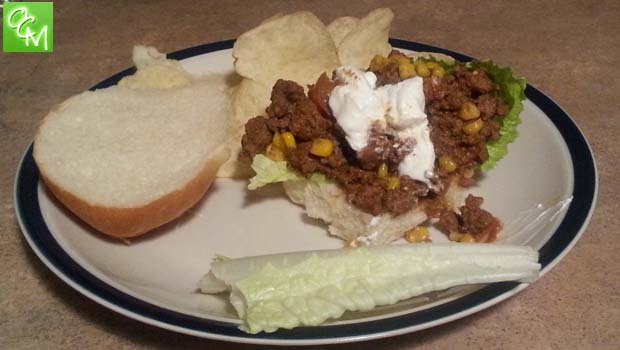 Place the lettuce on a bun, top with the El Diablo beef mixture, and then add a dollop of sour cream. Enjoy! Dr. Pepper not included. Sheriff Buford T. Justice endorses this sandwich. I hope to catch some more CMT’s Reel Eats recipes, the show is an entertaining way to break up the movie and I really enjoyed the Diablo sandwich recipe. Stay tuned for more (hopefully). See our REVIEWS/RECIPES tab for more recipes.